Sometimes you need that quick treat to hold you over, you know the one that has to be satisfied before you can get anything else done? 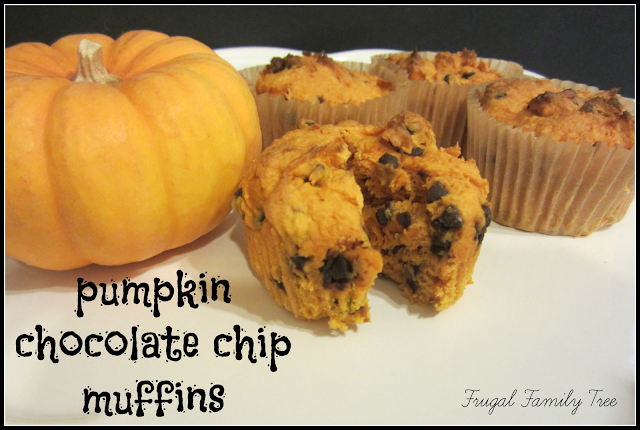 Well, these Pumpkin Chocolate Chip Muffins are a good quick way to get that fix, with a zip of pumpkin for the season. And they take only 3 ingredients to make! Mix the pumpkin and cake mix, that's it no water, no oil, nothing just the pumpkin and cake mix. 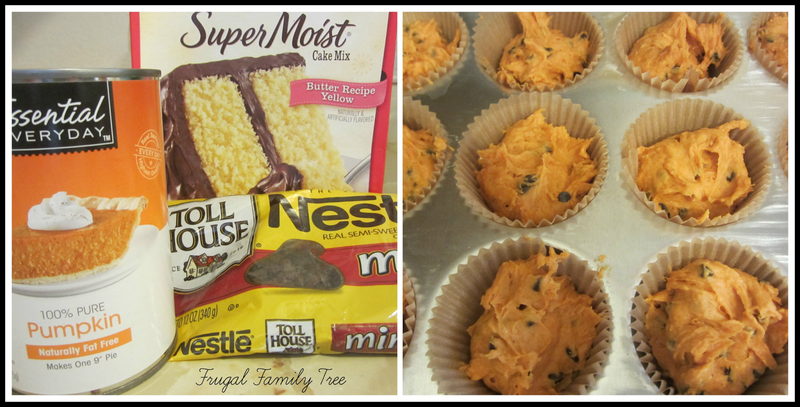 Add chocolate chips, mix well. Fill up your cupcake liners 3/4 of the way with batter. Bake at 350 for 10-12 minutes. Warning: They are packed full of pumpkin punch! I wonder if my kids will like this they're not fans of pumpkin but maybe if its in a muffin form they will.